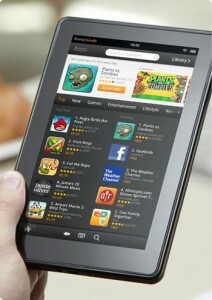 The tablet market is off and running and the Kindle Fire is doing very well. I have often wondered what the future of the original e-reader will look like. Now that the Kindle, Nook, and Kobo e-readers are all touchscreen, what is the next big update? I’m not saying they’re perfect by any means. The page transitions could be smoother, and the page turn buttons could be arranged a little better to make things more comfortable for lefties. Then of course, there’s always the potential for faster browsing in the Amazon Store. Right now to me at least, my Kindle and iPad serve completely different purposes. I have tried reading a book on both an iPad and Kindle Fire, and the screen is just too bright for me to read for a long time. My Kindle Touch isn’t really a gadget to me that I feel like I need to separate myself from like the computer or phone. A hybrid tablet and e-reader has been mentioned in the past, and I think this is most likely what will happen. The trick is designing one that can create the same effect that both an e-reader and a tablet can. I’m not exactly sure how far off this possibility is, but it would be nice to be about to just carry around one device that does multiple things. At the same time though, if that device is stolen, you lose everything. With the Kindle Fire out now, I’m not sure I really see a point in creating a color e-ink Kindle. Most books, regardless of whether they are print and electronic don’t use much color. I can see it being used for highlights and annotations, but how high is the demand for that? In the short term, I would love to see a light built into the Kindle. I don’t mean a backlight necessarily, but perhaps a light that is built in at the top that can flip in and out when needed. There are a number of good clip on lights available, but having one that fits seamlessly into the device would be ideal. E-readers are continuing to show strong sales, and now that the prices are lower than ever, many more consumers are able to jump on the e-reader bandwagon. In the next year or two at least, I think e-readers like the Kindle and Kindle Touch will draw sales from these new consumers. Looking ahead 5 years or so, I predict that the hybrid e-reader/tablet will emerge and take a share in the market. But who knows, there may be something completely different around to shake things up. Technology progresses incredibly fast these days. To say the pace of technology competition and updates are overwhelming is a major understatement. It shouldn’t come as too much of a shock, but the Kindle Fire took the top spot as the bestselling, wished for, and gifted item on Amazon. Right behind the new Kindle tablet were the Kindle Touch, and regular Kindle. Amazon (NASDAQ: AMZN) is keeping quiet about exact numbers, but reports are going around that they hit around the 4-5 million mark. 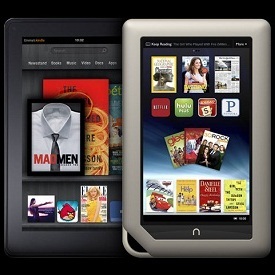 Around a million Kindles were sold each week in December. The prices are said to be one of the biggest reasons for the record breaking sales figures. In addition to the Kindles themselves, sales of accessories and apps got a big boost. With all that said, the holidays are now over, and we’re firmly into 2012. 2011 was the year of the tablet, and 2012 will most likely continue that trend. 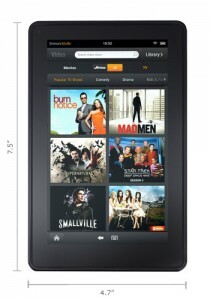 I think the Kindle Fire will continue to be very successful. Reviews went up after Amazon released the update that improved navigation. Amazon is good at listening to its consumers, so more improvements are sure to come. I think that the tablet market has already and will continue to split. 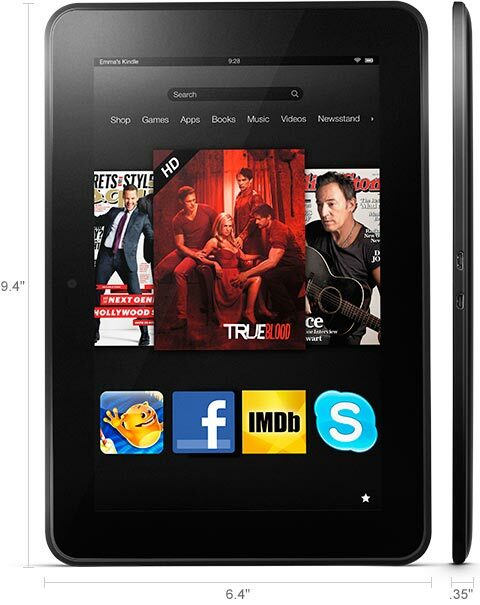 The Kindle Fire is much smaller than the iPad and is geared for consumers who want a multifunctional, portable tablet without too many bells and whistles. 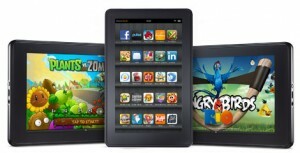 All tablets will compete for the market share, and the Kindle Fire has definitely taken a hit at the iPad’s sales. However, the direct competition for the iPad is projected to be the new Asus Eee Transformer Prime. The reason for this is that the Prime and the iPad have much more powerful processors, and can be used as a makeshift laptop. They are both compatible with external keyboards. The decision on what tablet to buy simply depends on what you want to use it for, and how much you’re willing to pay. There are rumors about a bigger Kindle Fire, and smaller iPad in the works, but any concrete details on them are yet to be seen. Tablets in general has a solid foothold in the market, and now it is just a matter of seeing how they will continue to develop competition and feature wise.